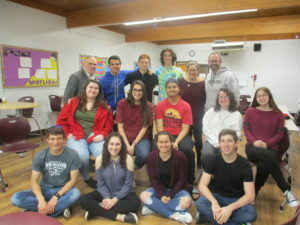 BCHSJS is a regional Sunday school program for Jewish teens in grades 8-12. We draw from 22 different northern New Jersey congregations (Conservative, Reform, Reconstructionist and Orthodox) and have non-affiliated students enrolled as well. 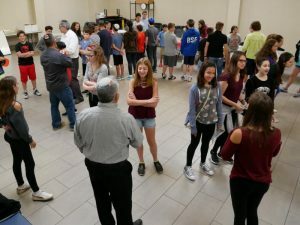 For more than 40 years, we have been giving local teens the tools to form a Jewish identity that carries them into adulthood and stays with them for life. BCHSJS is not “old school” Hebrew school. Our program combines fun social activities with engaging, relevant Jewish studies taught by passionate, inspiring teachers. To help today’s over-scheduled teens enhance their preparation for college, we offer many opportunities for them to fulfill their community service requirements and even to earn college credits. 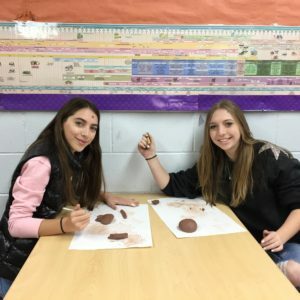 We are proud to be one of the only supplemental community high schools in the country that has a special guidance program, “Project Success,” so students with special needs can fully integrate and thrive in our program. Students attend three classes each Sunday. There are two class periods followed by a break and then a third period. During the break, snacks are available for sale. Food served at BCHSJS and on our programs and trips is kosher.